So Yesterday I was looking through the Daily Telegraph 'Home' section and guess what.. 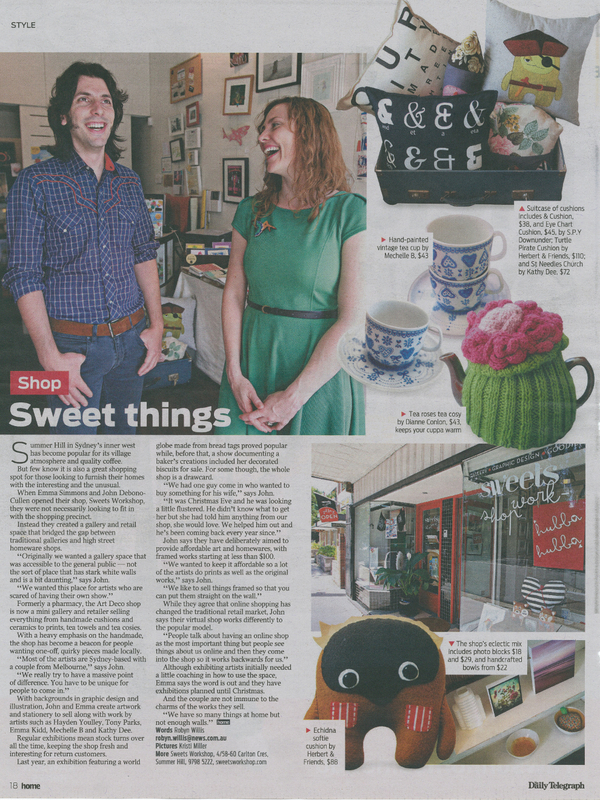 I saw my Stitchester Church ' St Needles' soft sculpture and a monochrome heart cushion in an article on the awesome Sweets Workshop, the fabulous shop and one of my stockists in Summer Hill. How exciting, I think that's my first piece of official press.... 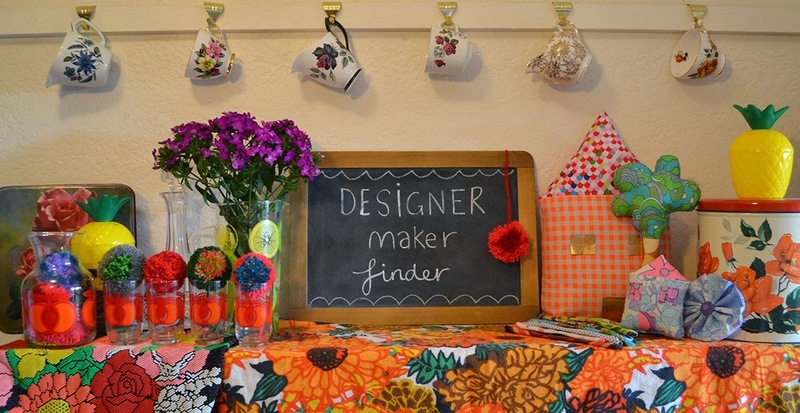 I am so happy to have been included in the list of names Artists. Even if they spelt my name wrong... Kathy Dee.... Oh well! I love The Sweets Workshop, not only are Emma and John really lovely and talented Artists themselves, the shop is full of gorgeous things and it's a pleasure to visit to get something really special. So well done guys! I can't make it any bigger as things get in the way! But I do get listed as one of the artists there.